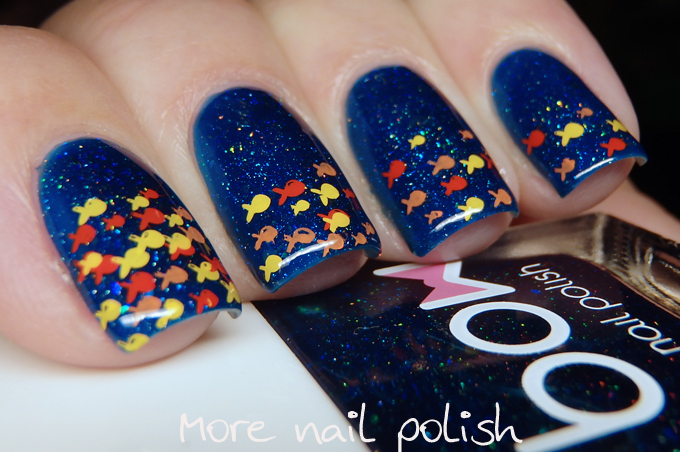 This weeks prompt for the 40 Great Nail Art ideas is 'Things in the Water'. I was cutting it a bit fine to get this mani done and only painted my nails for the prompt on Friday night. 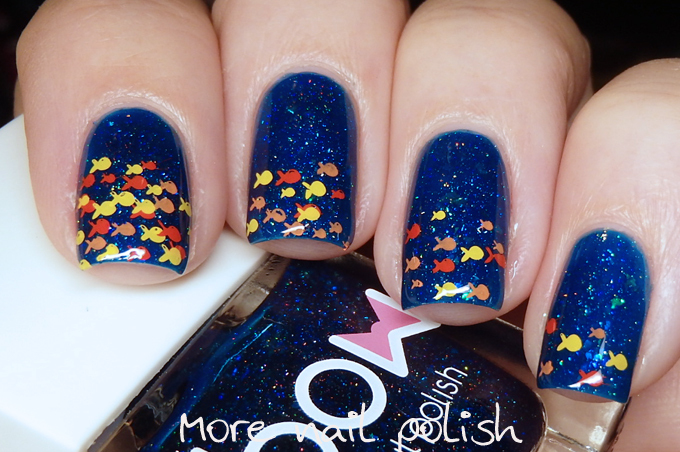 As such I was lacking some creativity and ended up doing this simple stamped school of colourful fish. 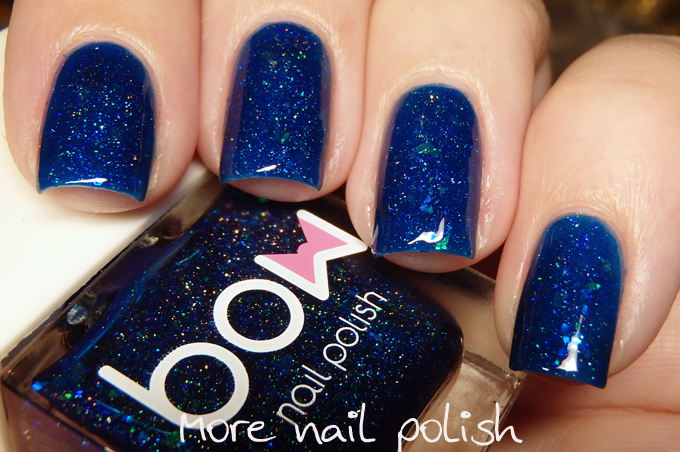 The base polish is Bow Polish Drown (swatched below), which nearly made me create some other nail art. I have some stamping plates on them that have a human hand stick up out of the ground, you know, zombie like. 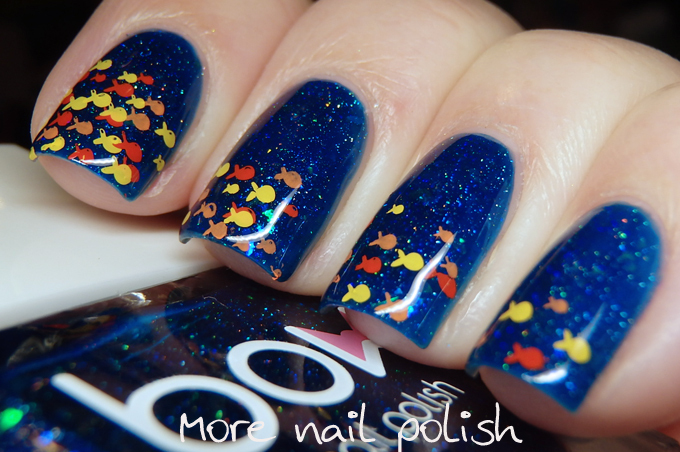 I nearly stamped that on one finger, without the ground part showing and was going to say that the thing in the water was a drowned body, using the polish name for inspiration. But I decided not to do it cause it was in poor taste and very macabre. The fish I stamped were from the DRK Seasons plate. 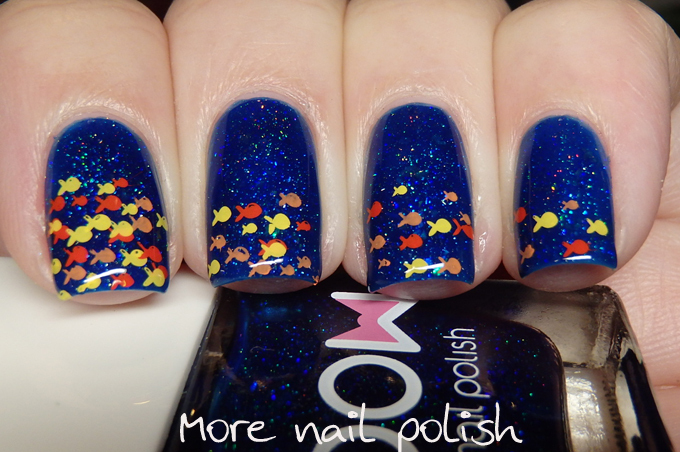 They only have about 7 fish grouped together, so I used a clear stamper to pick off and choose which fish to place where. 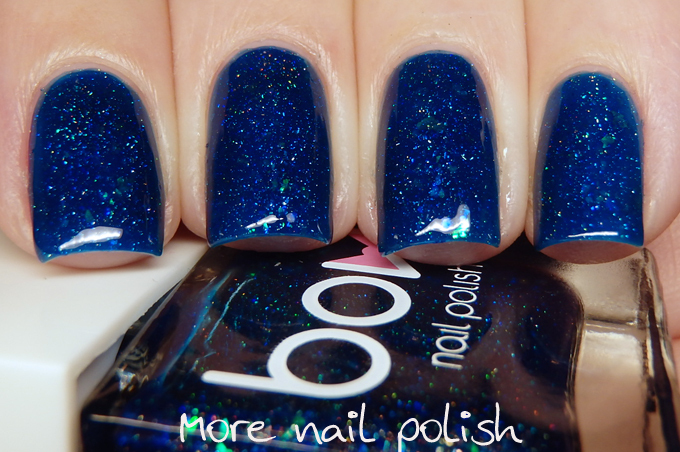 Here are some swatches of the gorgeous base polish, Bow polish Drown, on it's own. This was a bit sheer but builds up easily. 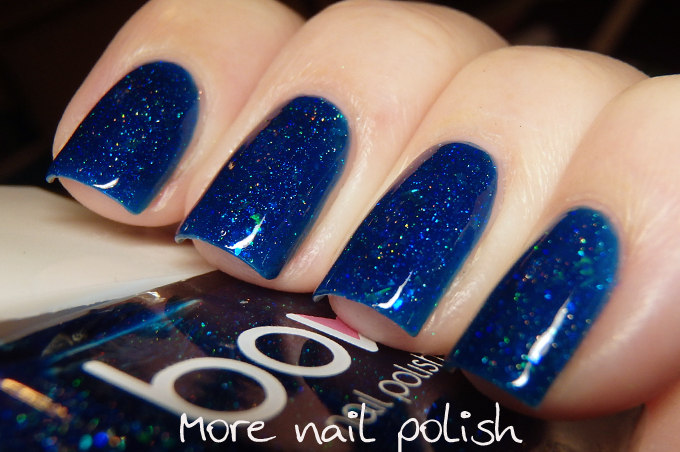 I did three coats to get full opacity, which also provided lots of depth with the holo sparkles and the green and blue flakies. 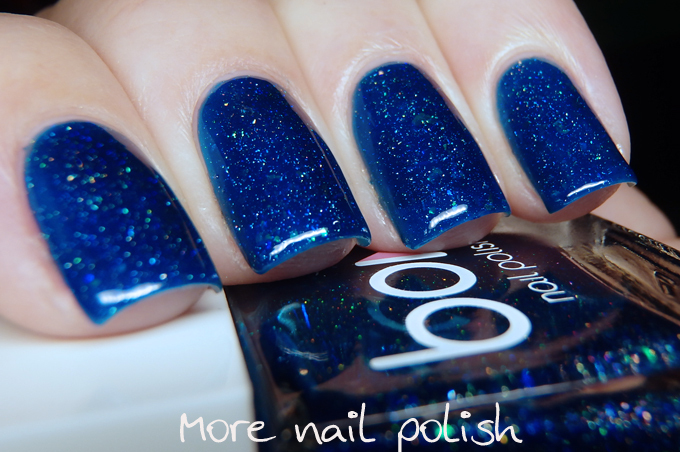 Its hard to see the flakies in my photos which were taken under artificial light, but in natural light they are much more obvious. I did two coats of top coat, because sometimes flakies can really soak up the top coat and make it look dimpled. You could have said it was inferi, like in the second-to-last Harry Potter book! The look you went with in the end is very cute, though.